For parishioners of the Roman Catholic Church of All Saints, the 135th anniversary Mass earlier this month had the feel of a festive family reunion. Pews in the Harlem church, which were dressed with jaunty white bows, were packed more than usual, studded with many parish old timers. Gospel voices soared to the heights of the Gothic Revival rafters. A favorite pastor returned to preside over a rapturous, laughter-filled Mass. And afterward, the congregation mingled over home-cooked food. Still, by every account, All Saints—the so-called St. Patrick’s of Harlem—is on the precipice of closure. After years of discussions, and with the guidance of an outside consulting firm, the Archdiocese of New York announced on Nov. 2 its list of more than 50 churches that will combine with another. But those mergers account for only about 85% of the decision process. The remaining determinations, according to Cardinal Timothy Dolan , are now being sorted out for a March deadline, leaving a dozen area churches in limbo. 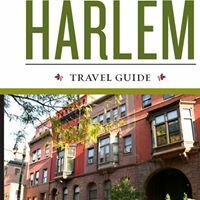 Among those left hanging are All Saints and four neighboring parishes comprising the central Harlem cluster: Church of St. Charles Borromeo, St. Mark the Evangelist, St. Aloysius and St. Joseph of the Holy Family. Tied together, these parishes now await further direction from the cardinal and will learn their fate in the coming days. Based on written recommendations made over the summer by the cluster and presented to the archdiocese during the larger planning process, All Saints will likely be the church to fold, leaving parishioners in need of a new spiritual home and the future of its storied building an open question. Designed by the same architect responsible for New York’s St. Patrick’s Cathedral and Grace Church, All Saints’ Italian Gothic Revival structure was begun in 1883. The massive church complex, which includes a rectory and a now-closed school, spans a city block along Madison Avenue from 129th to 130th streets. After a push by parishioners and preservationists, it received city landmark status in 2007. While All Saints is surrounded by blocks that have benefited from decades of revival, the neighborhood’s real estate activity hasn’t bolstered the church, nor filled its pews. Current and past church leaders agree the landmark status was essential to save the property, but the building remained far from preserved or maintained. 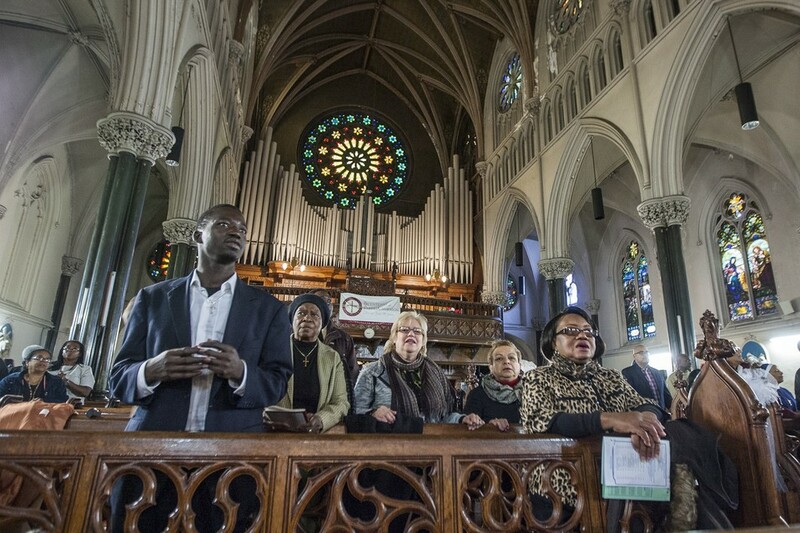 Major renovations haven’t happened in 50 years, according to parishioner Lorraine Adams, a Harlem resident and a member of All Saints parish council. Community members and preservationists are concerned that the 109-year-old St. Thomas the Apostle Church, known for its unique architectural design, could be demolished or otherwise harmed in a redevelopment. It’s easy for passersby to overlook St. Thomas the Apostle Church, on the corner of 118th Street and St. Nicholas Avenue, which, covered by scaffolding, looks like any other West Harlem construction site. But community members and preservationists are still concerned that the 109-year-old structure, known for its unique architectural design, could be demolished or otherwise harmed in a redevelopment.